If Grampa Jim had one vice in life, it was smoking. I never saw him without his cigarettes. He carried stick matches to light up. Occasionally he asked me to find him a match, but he was never without his cigarettes. He smoked Camels. I never saw him with any other brand. 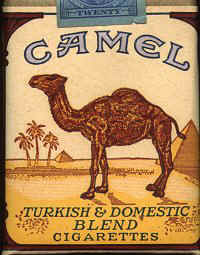 When Gramps did not have enough money to buy Camels, his second choice was a sack of Bull Durham tobacco with papers. When he wanted a smoke, he made one. He was an artist when rolling a cigarette. First, he opened the sack, and pulled a single sheet of paper from the packet. He curled the paper to form a trough, and carefully shook tobacco onto it. Next, he clenched the drawstring of the bag in his teeth and pulled the bag closed. I watched in amazement as he closed the bag while balancing the open paper without ever losing a single flake of tobacco. Once the bag was back in his shirt, he held the cigarette with both hands. Carefully, he rolled the paper into a cylinder. When he finished, the paper surrounded the tobacco except for a short edge. He carefully lifted it to his lips, and swiftly gave a lick against the exposed paper. He folded the moist edge over the cylinder, and welded it shut. He was ready to light up. Gramps grew tobacco on the farm. 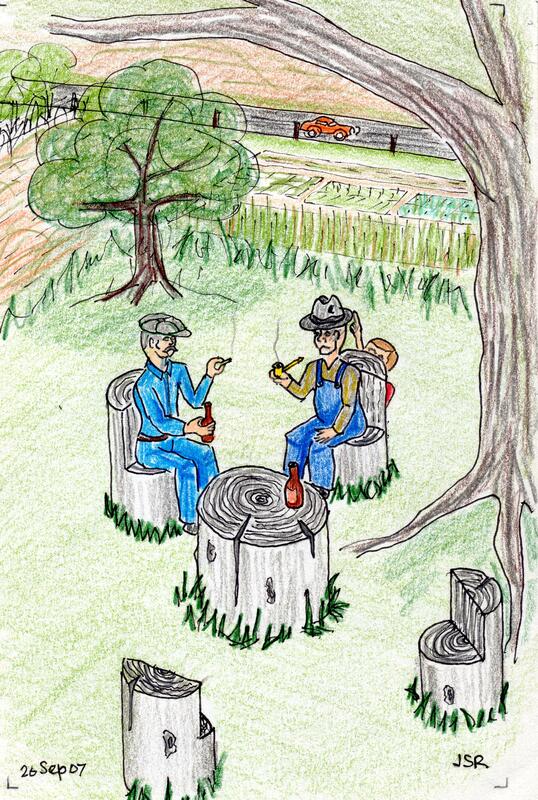 His friends grew tobacco, so he grew it too. He did not grow much. I never saw more than four plants. The plant grew as tall as corn, and had large green leaves. When the leaves were ready, he picked them, and strung them on a pole to dry in the attic. The leaves turned from green to golden brown during drying. He crumbled the dry brittle leaves by hand into millions of little pieces. He stored the shredded tobacco in a bag until he was ready to make cigarettes. He had a second way to make cigarettes that utilized a little machine made of wood. It worked by turning a hand crank. First, he placed a sheet of cigarette paper into the machine, and sprinkled some tobacco onto the paper. 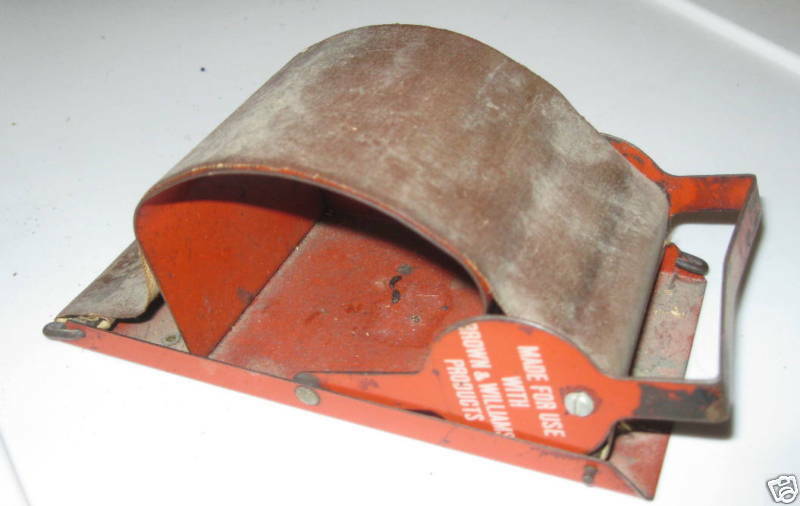 A single turn of the handle wrapped the paper around the tobacco. Finally, he moistened the overlapping paper to make it stick together. This method enabled him to make several smokes at one time.